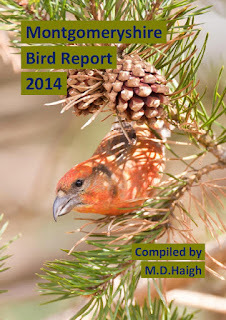 Thanks to everyone who has contributed to the Montgomeryshire 2014 County Bird Report - now available to download for free on the 'County Reports' page (or click the front cover pic below). A total of 166 species were recorded in 2014 of which 1 (Common Redpoll) was new for the county. Very interesting Mike and illustrated with some excellent pics! Excellent report Mike, well done! Super work Mike, thanks for putting it together!